Christmas is a time for unexpected acquisitions, both as presents and opportunities arise. 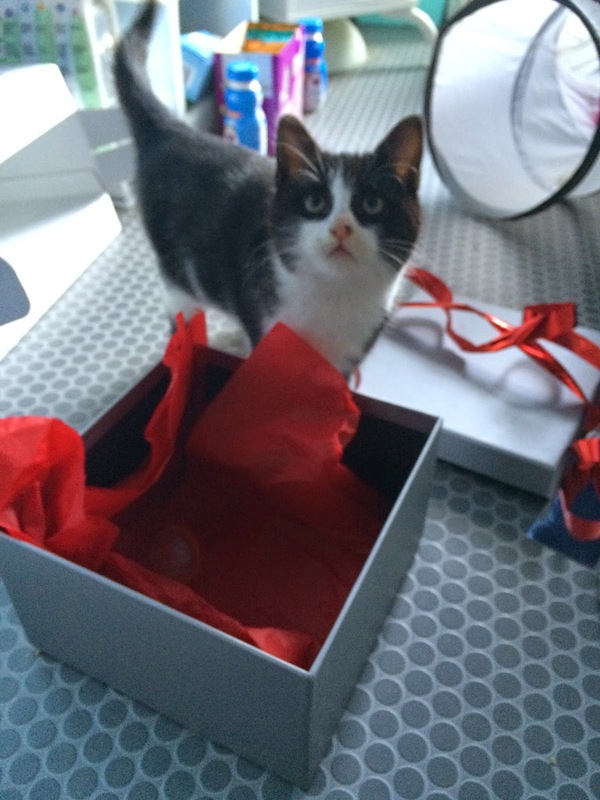 For example just before we introduced a new kitten to the review team! A few days into the new year Nintendo offered a few lucky people by e-mail the chance to be one of the first to purchase the European version of the new & updated 3DS. I decided to go for it. Saturday morning a box arrived with the goods. 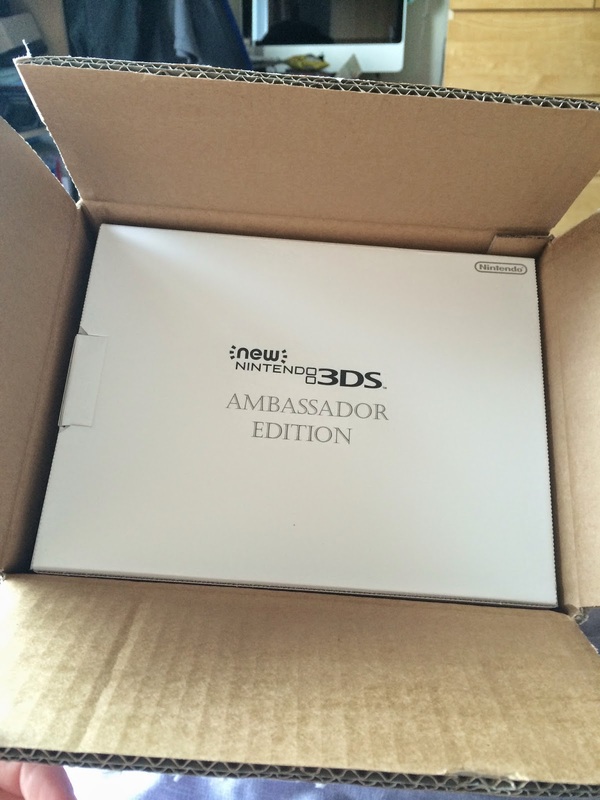 I got an Ambassador Edition New 3DS, charging cradle and two sets of face plates for £180. The machine will be £160 ish when released in the UK (we think around Easter) and will not come with the charger or the second set of face plates which I think will be about £10 each. The plates on display here are also exclusive to this edition. You don't get a charger but I already had two so that saved everyone some money. The symbols on the top are explained below. Kitten is helping already - she loves the large cardboard box that it came in too! And here is the actual machine in all it's glory. 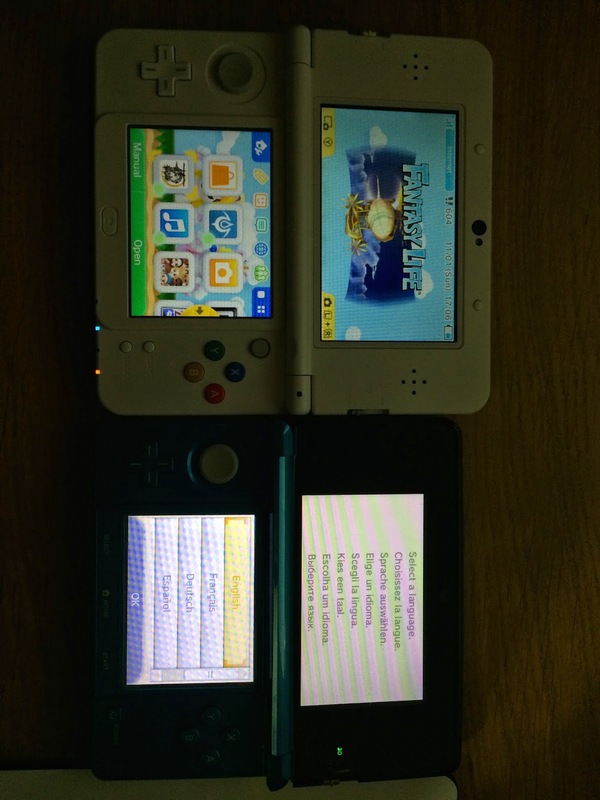 It was a faff to set up the copying from my old 3DS to the new one. I had a lovely fast 16GB card in my old one that doesn't fit in the new MicroSD slot, but the new one came with a slower 4GB card so I've had to use a computer to trim the data down. You don't loose any of your steps or street passes though which is nice, but the extra £3 or so for a class 10 8GB would have made everything so much smoother for me. At least I can manage the files on the new one using my PC. While doing the tedious set up you can of course munch through the sweets you got for Christmas. I got lots of fruity liquorice which is great as I love the stuff. It really doesn't warrant a whole review though - it's really very similar whatever brand you get. The Tesco strawberry at the top left was coated in that sour sugar stuff so was the favourite. The Tesco ones also had no artificial flavours and colours yet actually tasted superior and had a preferable texture to the two larger pound shop bags. As the pound shop ones are almost three times the size for only a small price increase though I think the differences are forgivable. Neither are as luxurious as the Mr. Simms liquorice which almost tastes home made, but for high-street sweets these are both acceptable. We got them out at games night and people had a lot of fun. I suspect that the blue is very artificial and full of hyperactivity chemicals which may push parents towards the other brand. The main reason for the new 3DS is the 'improved 3D' which means it knows where your head is and adjusts accordingly. This can flicker a bit if you are on the bus, but you can adjust it to suit. There is also a little stick like the ones laptops have which makes controlling some games a touch easier. I prefer these to trackpads so this is a plus. It also looks a lot like some of Nintendo's best ever handhelds - the white GBA and the DSi. 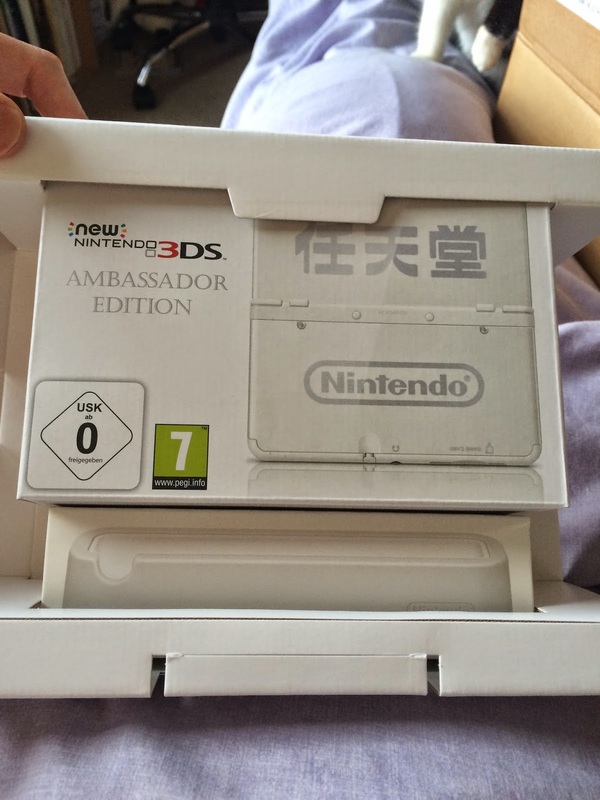 This is important as the original 3DS did look a little too space age and not business like. The coloured buttons are cool too. The screen is improved a bit but the same resolution even though they are a touch larger. The cameras also seem better. 4 years is a long time in technology so it's unsurprising that there are improvements. There are also technological improvements with faster processors and NFC so it can talk to the Amiibo plastic toys (I have Luigi) when the games allow. Pros: Better all round, 3D easier to use and more life friendly, going to cause me to actually finish some 3DS games saving money indirectly, grown up appearance? Whether you upgrade when Easter rolls around to this (or the non-pocket sized XL version) is really going to depend on how much use you got out of the last one. If you had been thinking about getting one then this is the perfect model. It's likely the last major revision of the system before time marches on to the next system.